The last week has not not been good for the silver alt coin. After a Coinotron 51% attack scare many holders are speculated to have traded out to Bitcoin- this has caused the ltcbtc rate to drop substantially. It has now dipped to below 0.019 with the dollar rate under $11. Another reason for the LTC drop may be due to the new alt Darkcoin which is now priced higher than Litecoin with an also higher strength relative to bitcoin. This attractive offer may be pulling away Litecoin speculators. 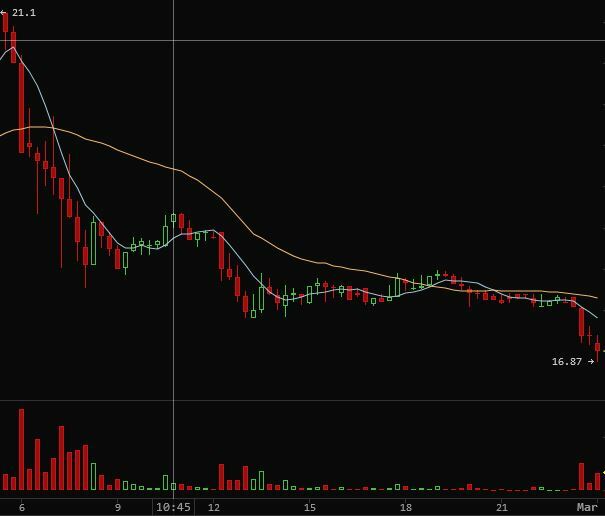 We are seeing LTCUSD dropping below $10.50 and LTCBTC is back in the 0.024 range. LTCBTC has also taken a drop into the 0.26 region.